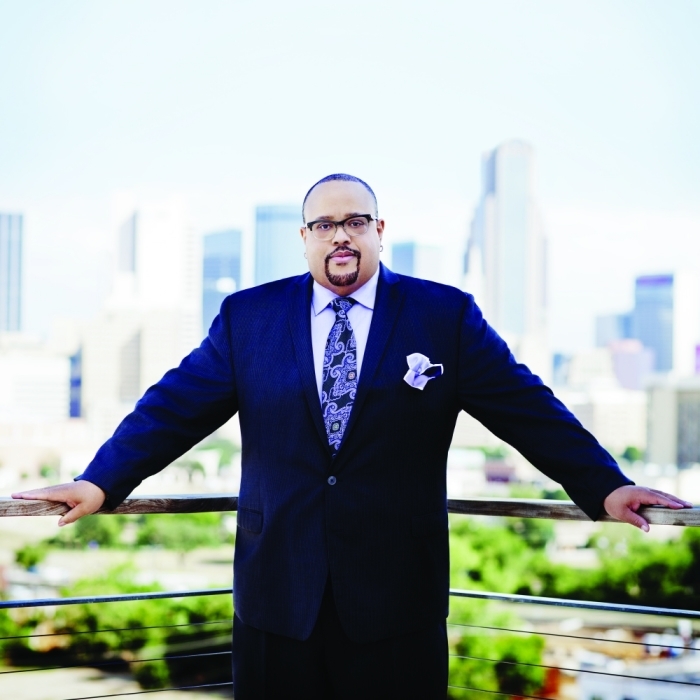 Before Fred Hammond embarks on the third installment of his Festival Of Praise tour, he is giving some aspiring singers the opportunity to join him. Hammond, the veteran gospel music singer, took to Twitter to announce that he was giving people the opportunity to virtually audition to become background singers on his tour. "Ok Ok Newsflash: my background singers for the #fop #tour are almost complete. But we're about to open up auditions for 2 Sopranos," Hammond wrote. "The Auditions are coming up soon. No need to pack your bags we will give you information on how to send us your audition." While the tenor and alto positions on his team are already filled, Hammond revealed he will hold auditions with a panel of judges for sopranos. "The Requirements will be posted on #Twitter, #FB, #Periscope, #fblive. Your performance will be judged by a panel of judges," he revealed. "Divas need not apply!! !Looking for good people to work with... Is that you?" The Festival of Praise Tour is adding some new veterans to its lineup for the upcoming 2016 tour. Last month it was revealed that Karen Clark Sheard, Regina Belle and new face Casey J, along with faces familiar to last year's tour, Hezekiah Walker and Israel Houghton will be part of Hammond's concerts. Last year, Hammond put the tour together with gospel music heavyweights Donnie McClurkin, Kim Burrell, Hezekiah Walker, Jessica Reedy, Isaac Carree and Zacardi Cortez and guest appearances by Israel Houghton. While Houghton told The Christian Post that multiple Grammy, Stellar and Dove award winners on the stage tends to breed competition, he believes it is in a unique and healthy way. "It's been a lot of fun, we work hard we play hard. I think the thing that has really stood out about this tour is the sense of camaraderie and unity which is not normal amongst musicians and artists," Houghton previously told CP of the tour. "There is always going to be that slight healthy competition of us all inspiring each other to push harder, sing better and all that kind of stuff. The unhealthy part of the competition does not exist on this tour." Houghton insisted that everybody on the tour supported one another, which was evident in their choice to perform as a unit throughout the show. "It's just everybody rooting for each other. We're out on stage the entire night together all seven of us," the frontman for the New Breed band had told CP. "So we're singing backgrounds for whoever is leading, we'll jump into certain sections of their song to sing lead and vice versa. It just makes for a very unified beautiful night and people can definitely sense it." The fact that the singers choose not to perform separately the entire night of their performance helps each of them form a unique bond, according to Hammond.